With more than 160 Legal Money Lenders in Singapore and not including loan sharks imposing as one. It can be tough to find a reliable money lender when you are desperately in need of a fast cash loan. Our research team at Loan Advisor had done all the tough work for you and we have listed the top 10 in our list below. Moneylenders have had the bad reputation of being loan sharks, giving loans to unsuspecting people and charging high interests and making lives miserable in general. The Ministry of Law cracked down on illegal moneylending activities, passing laws that regulate and monitor the activities of moneylenders. Now, it is very easy to verify who the legal lenders are and approach them for loans: just go to the Ministry’s website and look up the list of registered moneylenders. Any moneylender whose name is not on that list is illegal and unlicensed. Legal moneylenders are there to provide you with a quick cash loan you desperately need, not to extort from you. Since they need relatively few documents from you and zero collateral, obtaining a loan from a legal moneylender is quicker and more efficient than getting a loan from a bank. Plus, the interest rate is a fixed amount and doesn’t increase or decrease under any circumstances. If you need to get a loan and also have peace of mind when it is time to paying it back, get a loan with a licensed lender. It is also important to note that not all moneylenders have the same terms and conditions: since they are all businesses, they may all have varying terms and conditions. Check out several moneylenders to know their policies, terms and conditions, before selecting one to get a loan from. Taking a loan is not something to be rushed into: you are advised to take your time and do your research thoroughly before proceeding with acquiring that loan. For those with an outstanding credit score, you can then get super low interest with 365 Credit Solution and may borrow and amount from $5,000 to $35,000 and not need to use collateral. Loan terms available are between 3 – 5 years. 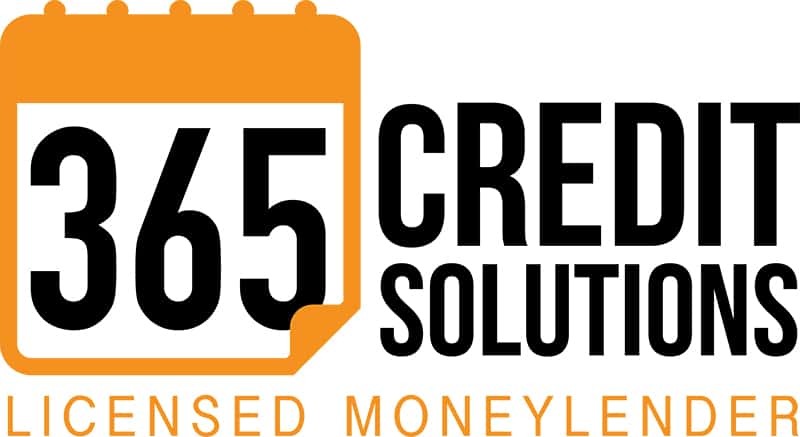 What is gracious about 365 Credit Solutions and set them apart from other lenders is that you can also get free extra payments provisions and without early repayment penalties. This will ensure that their customers repay their loan on time. 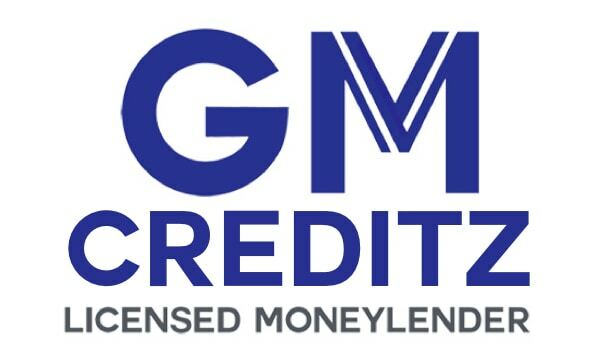 GM Creditz has been built on solid principles through the transparent and fair services offered. Many of the Google reviewers are returning customers. This is prominent in their loan package for people with different financial standing, regardless their credit report is good or bad. This set them apart from other lending institutions who are not ready to give you a loan if you can’t produce your credit report. They are prepared to lend you as much as you need and stretch as far as limitations required by law. You will need to compromise and work with them to reach a reasonable repayment scheme that you are comfortable with. Of the above moneylenders that were reviewed, Bugis Credit is the longest standing moneylender in the business. That proves something significant because only when you have customers, your business will survive in the long run. Even when in 2008, Bugis Credit (formerly known as Symbolic Pte Ltd) has only begin their business for less than a year, Singapore slips into recession due to the global financial crisis. World economies hit badly; banks around the world collapse but this moneylending company survived. By going above and beyond in order to meet your needs, Bugis Credit has plenty of support and raving reviews from their current and existing strong customer base. The above quote is one of the many reviews found on Google that credit A1’s helpful staff who have known to help those in need out of a financial crisis. Popular staff like Steven and Tracy are often mentioned on customers’ review that they go out of their way to lend a listening ear and perfect their plans for providing borrowers with suitable short-term loans. Being a licensed money lender under the regulation of the Law Ministry, the lender fully complies with the Act of Moneylenders. Through practicing responsible lending, A1 aims at putting clients in better financial standing than before and to achieve this, they have strengthened the lending criteria, with a strict assessment protocol for individual portfolio risks. 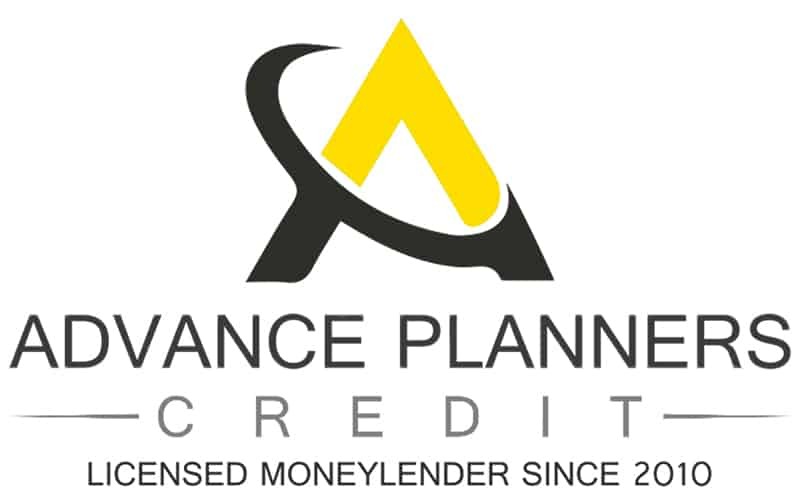 Located in Orchard, Advance Planners Credit is a reputable, low-interest rate, registered moneylender that has been licensed by the Registry of Moneylenders, Singapore, to give loans to citizens, permanent residents, or foreigners, as long as they are all in Singapore. 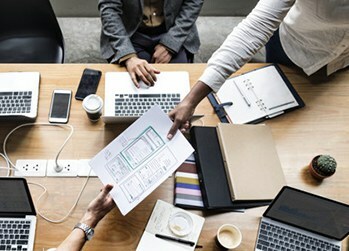 Advance Planners Credit has several loan options to offer to people from all walks of life, and they do so with little hassle, following the moneylending rules set down by the Ministry of Law in the Moneylenders Act. Open 7 days a week, they have made excellent customer service and customer satisfaction their priority, aiming to help everyone achieve their monetary goals by providing loans at suitable interest rates as befits your income and repayment ability. They actually tailor repayment plans to your ability to pay, because they do not deem anyone unworthy of financial assistance. You can reach them on 6235 1788, or visit their site to learn more. Things You Should Know Before Getting A Loan From A Licensed Money Lender. Because of the fraudulent actions of moneylenders in Singapore, the Ministry of Law made several rules and regulations to govern the activities of moneylenders in the nation. These rules had to be strictly enforced for them to be obeyed, and so the Ministry of Law created some guidelines to curb the high-interest rates and fees that moneylenders charge on loans. As of October 2015, these laws and guidelines came into effect, and they have been made available to the public as well, so that you may be aware of what the law says about moneylending activities so that you don’t get defrauded by anyone. If you are granted a loan, and regardless of your annual income, your interest rate will be calculated at the Reducing Balance Interest Rate, which means that you will be charged a maximum interest rate of 4% per month. Prior to the setting of this guideline, moneylenders used the Simple Interest Rate to calculate interest, and could charge you interest rates of up to 20%, and even 40% per month. Licensed lenders are required to calculate interest on a reducing balance basis: that is, they are to calculate your interest rate at 4% or lower on the balance that remains on every monthly repayment that you make. Prior to this guideline, moneylenders calculated interest on a compound basis. The only fee a moneylender can charge you is 10% of the principal loan amount as an administrative fee, and this fee is paid immediately after you have been granted the loan. You can only be charged S$60 per month for every late repayment that you make on loan, and nothing more than that. The maximum interest rate on late repayments is 4% per month, irrespective of if the loan is secured or unsecured. The interest on late repayments can only be charged to those repayments that are still unpaid, or late: it cannot and should not be charged to the repayments you have made. The total cost of borrowing, including the administrative fee, interest rate charges, and late repayment fees, should not exceed the total principal loan amount that you received. These guidelines do not mean that it costs you more to borrow from moneylenders: it actually costs you less. The guidelines are in place to protect you and your interests, and any moneylender that doesn’t follow these guidelines is not a legal moneylender and should be reported. As a borrower, you can protect yourself from fraudulent private money lenders by first checking and confirming that they are licensed and accredited by the Moneylenders Association of Singapore and the Ministry of Law. Proof of their license and registration is easily obtained by looking at the list of licensed money lenders. The list contains over 160 names of licensed moneylenders, which means there are many options to choose from, and any lender whose name isn’t on the list is not licensed. To be a licensed moneylender means that they have met all the requirements set by the Ministry for moneylending businesses, and so you can trust them to treat you according to the guidelines set by the government. Secondly, a legal lender will make sure that you get to read their terms and conditions and ensure that you understand them before getting involved in anything. The terms and conditions are the essentials of the contract you are going to sign with the lender, and it states how much you are eligible to borrow, the interest rates, the repayment plan, and the applicable fees. Make sure you understand the terms and conditions before you sign any contracts, for the contract is legally binding. Thirdly, the only fee you are supposed to pay to a moneylender is 10% of the principal loan amount, which is paid once you get the loan. Also, a legal moneylender will only charge S$60 on any late repayments you make. Any other fees charged are illegal. The reputation of a moneylender is important. Check the reviews that they have received from customers to know how good they are, and compare moneylenders before settling on one to do business with. Also, when repaying your loan to the moneylender, ensure that for every transaction, you get a receipt that has been signed or stamped by the loan officer, and signed by you as well; duly dated, with the correct repaid amount written on it. Make sure that you save these receipts so that you will be able to reproduce them when necessary. Asking you to sign a Note of Contract for a loan that is blank. This is a super shady tactic. Giving you a contract without explaining the terms to you, or not handing you the Note of Contract copy. Withholding any amount from your principal for any reason. Advertise their service by calling or SMS you. Automatically approving you for credit over the phone or SMS before even having time to properly go over or receiving your application. Pay attention to these and avoid lenders who do any of them. Advertisements placed on the exterior or interior of the moneylender’s physical place of office. Avoid advertising schemes that come from flyers, email messages or SMS. If you get one of these solicitations, it is either from an unlicensed lender or a creditor that is breaching the advertising regulations for their services. Applying for personal credit can be a big pain. But there is an easier way, one that is designed specifically for this purpose. So What Are The Things To Bring When Heading Down To The Moneylender Office? Proof of residency, or a tenancy agreement if you are renting, or an official letter from your landlord. Any of these must contain your name, address, and a date no later than one month past. Your SingPass token or password so that you can login to the CPF website, the HDB website, and the IRAS website. A most recent statement of account from a bank to which your salary has been paid. Some moneylenders will require seeing a credit report to check your credit history. None of these items are to be kept by the moneylenders: everything must be returned to you after they have seen what they need to. Any moneylender that wants to keep your documents is fraudulent, and you should leave that establishment immediately. Also, a legal moneylender will not ask you for your password: you are to keep your password to yourself and enter to login to those websites when you are supposed to. To protect yourself and your financial interests, it would be wise for you to do business with only legal moneylenders. Over at Loan Advisor, we do the research and narrow down legal moneylenders so you don’t have to go through the hassle by visiting agency after agency to search for the right one for you. We understand the frustration as well as the urgency of fulfilling your financial emergency as soon as possible hence, we take it upon ourselves to deliver the latest information and reviews so that you are able to locate a suitable moneylender within the comfort and privacy of your own home.